2.2.1.1 How can this theory shape your teaching? 2.2.2.1 How can this theory shape your teaching? 2.2.3.1 How can this theory shape your teaching? 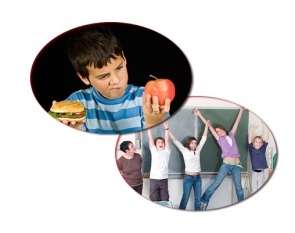 Many of the life-long habits that jeopardize health are formed during childhood. Schools provide an excellent opportunity for preventing and treating obesity through changing these habits. Both physical activity and nutrition-focused interventions are already in place in many primary schools. In order to effectively implement these programmes it is important for teachers to understand what brings about the actual change in behaviour. Designing interventions to produce or change certain behaviours; in this case health behaviours relating to childhood obesity; is best done with an understanding of behaviour change theories and an ability to apply them to practice. This page aims to serve as an introduction for primary school teachers as to what influences attitudes and popular health behaviour models. In addition, suggestions are provided as to how these models may influence and potentially be incorporated into teaching practice. Recognize the need to be aware of what brings about behaviour change. Describe theories that shape and influence behaviour and attitudes. To apply behavioural/attitudinal theories to effectively implement strategies to combat childhood obesity in primary school. To evaluate the effectiveness of your strategy to change the behaviours of the children. Negative attitudes of obesity reported among schoolteachers and children can promote size discrimination toward large children and body dissatisfaction in children who view their body size as unacceptable. Appropriate education on how to self-monitor daily activity levels can help to empower individuals to maintain healthy long-lasting life-style habits. To alter an individual’s behaviour it is thought that you must first instill a positive attitude towards the behavior. Weight loss should be looked at from the inside-out, rather than the normal outside-in perspective, meaning, our attitudes and beliefs must be appropriate before methods to change behavior are implemented. involves the urge to want to perform the desired behavior. It is vital to keep in mind that attitudes may not directly cause a behavior change but are necessary to address to help alter behavior. The World Bank discusses three ways to present information to encourage adjusting personal attitudes: One way to influence the attitudes of pre-adolescents is to try and increase their self-efficacy and to educate them on the effects of affirmations. Affirmations are statements that declare that something is true. The theory of self-affirmation is a psychological theory with the premise that people are motivated to protect an image of its self-integrity, morality and adequacy. Self-affirmations are said to boost the self-concept and give you confidence to achieve goals. Self-affirmation has been shown to be effective in terms of promoting a greater acceptance and changes in attitudes, intentions and behaviour. It is important to keep the following in mind when teaching and writing affirmations. In understanding how attitudes can be altered with the use of affirmations this strategy can be utilized in daily and weekly activities. Motivation consists of the amount of effort a person is willing to exert in pursuit of a goal; hence, motivation has magnitude and direction . influencing how the learners will feel following successful goal accomplishment, or even following failure. The following table outlines the key components of the ARCS model and ways of implementing them into a classroom setting . • Tell learners how new learning will build on ones existing skills. • Use analogies to relate current learning to prior experience. • Relate to learner interests. Presented below are popular health models used to describe how people acquire certain behaviours. There is no 'correct' model, it is best to read through the models and think about which one best suits you and the situation you are trying to apply it to. In addition, suggestions on how the theories can be incorporated into the classroom sessions are provided below each model. The Social Cognitive Theory (SCT) explains how people acquire and maintain certain behaviours  and has been extensively used in the field of health behaviour with respect to health promotion, prevention and modification. Human behaviour is explained in terms of a three-way, dynamic, reciprocal model in which personal factors, environmental influences and behaviour constantly interact (Figure 1). Figure 1: Triadic model from SCT. An individual’s behaviour is uniquely determined by these interactions. Within this framework there are key constructs which determine behaviour patterns. The core determinants are described in the table , , . The outcomes people expect their actions to bring about. The perceived importance of these expectations may also drive behaviour. An individual’s confidence in their own ability to perform behaviour. Self-efficacy is an important determinant of behaviour and is incorporated into many models of behaviour change. Self-efficacy makes a difference to how people think, feel and act ; . According to the SCT a personal sense of control makes behavioural change possible . Bandura proposed that the actual performance of a particular behaviour is highly related to an individual’s perceived self-efficacy . Unlike other models of health behaviour the Social Cognitive Theory offers both predictors and principles on how to inform, facilitate, guide and motivate people to adapt habits that promote health and reduce those that impair it . How can this theory shape your teaching? It may be important to provide resources and support to raise individual confidence. Behaviour change should possibly be approached as a series of small achievable steps . Tasks should be moderately challenging so that students do well and make progress when providing reasonable effort. Even a strong sense of self-efficacy may not lead to desired behaviour unless there is incentive . To facilitate behaviour change it may be important to provide incentives and rewards for the behaviours. Incentives may increase extrinsic motivation especially where intrinsic motivation is lacking. Shaping the environment may encourage behaviour change. Recognize constraints that may deter behaviour change. Students must believe if they complete learning tasks successfully, the outcomes they achieve are worthy of the effort necessary to reach them. Goals that students set or endorse themselves have a bigger impact on their behaviour than goals that are assigned. Goals must be SMART (specific, measurable, attainable, realistic and timely). The Theory of Planned Behavior (TPB) is an extension of the theory of reasoned action (TRA). It states that the main determinant of behavior is the intention to act. The intention, in turn, is influenced by the attitude towards the behavior, the subjective norm, and the perceived behavioral control. Figure 2 shows the influences on behaviour and their interactions according to the TPB. Subjective norm refers to the individual’s perceptions of general social pressure to perform (or not to perform) the behaviour. If an individual perceives that significant others endorse (or disapprove of) the behaviour, they are more (or less) likely to intend to perform it. Attitude towards the behaviour reflects the individual’s global positive or negative evaluations of performing a particular behaviour. In general, the more favourable the attitude towards the behaviour, the stronger should be the individual’s intention to perform it . Perceived behavioral control is defined as an individual’s perceptions of their ability or feelings of self-efficacy to perform behavior. This relationship is typically dependent on the type of relationship and the nature of the situation. Perceived behavioral control can also predict behaviour directly to the extent that the measure matches actual control. Intention = most important variable in predicting behaviour change. Intentions are assumed to capture the motivational factors that influence a behaviour and to indicate how hard people are willing to try or how much effort they would exert to perform the behaviour. Therefore it may be important to present information to help shape positive attitudes towards the behavior and stress subjective norms or opinions that support the behaviour. For perceived behavioural control to influence behaviour change a person must perceive that they have the ability to perform the behaviour. Therefore, perceived control over opportunities, resources, and skills needed is an important part of the change process. Precontemplation: This stage is where the individual is not even considering attempting or thinking about a change in the next six months. Contemplation: The idea of change has been planted in their heads, but they aren’t ready to start right away. They plan to change within the next six months. They have identified the pro’s to change, but also are aware of the cons. Preparation: This stage consists of the individual forming a plan of action to change within the very near future. (within 1 month). Maintenance: the continuation of their plan, and trying to avoid relapse. The majority of individuals stay in this stage. Termination: the final stage, where individuals have 100 percent efficacy and will maintain their behavior. Seldom individuals reach this stage, because it is so difficult to maintain. Moving forward through the stages is influenced by a set on independent variables known as "processes of change". These processes of change are a major contributing factor that allows us to understand how the shift in behaviour occurs. Numerous studies reveal that in order to have succesful behavioural change, these different processes should be used at particular stages of change. Seeing how obese I am makes me feel disappointed in myself. I make commitments not to be obese anymore. Intrinsic and extrinsic motivation are both very important to the adoption and maintenance of physical activity. In order to move through the stages, an individual needs to increase their intrinsic and extrinsic motivation. As the stages progressed, the levels of intrinsic and extrinsic motivation should increase. In the pre-action stage, “tangible rewards” were more highly endorsed. Extrinsic motivators, such as tangible results or receiving monetary compensation may be stronger as people consider and adopt an exercise. Intrinsic motivators (effort competence and interest-enjoyment) was highest for participants in the maintenance stage. Showing that continued participation in regular activity relies on internal positive factors. Environmental reevaluation: exploring the relationships between diet, physical activity, and environmental factors, and the physical, social, and emotional environments. Following on from the information provided above a basic understanding of what shapes attitude and behaviour should have been developed. 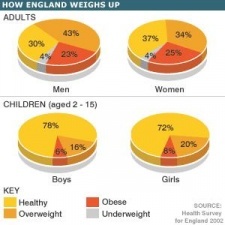 This understanding should help teachers to realise aspects that need to be taken into account when applying interventions to combat obesity. Below are a few more suggestions as to how these theories can be brought into the classroom. intention to participate in regular PA . Findings from such questionnaires will have implications for tailoring future interventions for your students. Previous studies suggest that to achieve greatest PA gains, interventions should implement strategies that reflect the findings on the importance of attitude and especially PBC, for obese students. They also suggest that PA interventions aimed at obese students should endeavor to provide information highlighting the benefits of participating in regular PA , for example, making PA enjoyable (see below). Children are very easily influenced, especially by the media. These discussions will allow children to understand the true meaning of being healthy. The aim of the discussions to educate and determine students attitudes and stage of behaviour. Affirmations are more effective if each student writes their own positive self-statements however, this can be done as a class. Write affirmations as a class to be said out loud once a day. Affirmations can change for each day of the week or every two weeks and repeated daily. Use journals in class for each student to write personal affirmations. Each student writes affirmations to decorate and put up in the classroom. Learning a second language? Lets gets up and get moving like our favorite animals, however before we ‘walk like dog’, ‘stretch like a cat’ you first need to say the animal in the second language. Simon says ( can also be done in a second/third language). Studying for a maths test? Have all students stand up in a straight line (side by side) and ask them math questions. Purpose is to get across the room by correctly answering maths questions and getting to take a step/hop/skip/leap. A question is posed and if the question is answered properly the student may move ahead accordingly, if they are incorrect they must stay where they are. An incentive to make it a little more competitve if the students are at a stage of behaviour change is to add an extrinsic motivator, ie, the first to the other side of the classroom wins a prize (maybe a bonus point on the test!). Students need to be intrinsically motivated to implement change. It is therefore important to have the students input ideas of how we can accept healthy attitudes and behaviours. Group discussion on ways to help challenge each other to become more active and healthy. If the student is intrinsically motivated they will be more likely to accept ideas and in turn more likely to alter attitudes and behaviours. With higher self-efficacy students are more likely to get involved and gain more from interventions. Select students with a variety of skill levels for the demonstration, and confirm that the student can accomplish the skill correctly in the demonstration prior to having them model it in front of the class. In order for the student to be effective model, the student must perceive themselves to be competent or more skillful than the models you are using. If your student sees someone succeed whom they believe is less skilled than them, then they will believe that they can also perform the task. Ask open-ended questions that allow for a variety of responses. Develop a hand signal system with your class. You might have the students show thumbs up for a “risk-taker” answer that they are unsure about, but would like to share. Ensure students know that they do not have to proceed alone. When they are unsure or incorrect, allow them to consult with other students to develop a better answer. Acknowledge all who contribute to solving a question. Even students who have risked giving an incorrect answer at the start of a lesson have contributed toward the solution. An option may be to allow students to write their answers on white boards and display the boards toward the teachers. This may be a less intimidating route to answer questions where the answer can be easily erased. Allowing students to learn with and from eachother through student models that comprehend the concept. Structured group work to emphasize crontribution from each member of a group. Cross-age tutoring is another effective use of modeling as the younger students look up to the older students. Older students are able to consolidate their progress by comparing their knoledge level against the younger students. This allows students confidence in knowing that others like themselves have successfully accomplished what they are about to attempt. The more your students see themselves similar to the successful model you provided, the more confident they will be about doing well on the new task. ↑ Sparks, P., Jessop, D.C., Chapman, J. and Holmes, K. 2010. Pro-environmental actions, climate change, and defensiveness: do self-affirmations make a difference to people's motives and beliefs about making a difference? British Journal of Social Psychology, 49 (3) 09, pp.553-568. ↑ Creative Affirmations. Writing affirmations. http://www.creativeaffirmations.com/writing-affirmations.html (accessed 23 October 2012). ↑ Visser, J. and Keller, J.M. 1990. The clinical use of motivational messeges: an inquiry into the validity of the ARCS model of motivational design. Instructional Science, 19(6)pp.467-500. ↑ Official site of John Keller’s ARCS Model. What is ARCS model? www.arcsmodel.com/ (accessed 12 Nov 2012). ↑ Learning Theories. ARCS Model of Motivational Design (Keller). http://www.learning-theories.com/kellers-arcs-model-of-motivational-design.html (accessed 12 Nov 2012). ↑ 6.0 6.1 Bandura, A. 1977. Self-efficacy: toward a unifying theory of behavioural change. Psychological Review, 84 pp. 191-215. ↑ 7.0 7.1 Redding, C.A., Rossi, J.S., Rossi, S.R., Velicer, W.F. and Prochaska, J.O. 2000. Health Behaviour Models. The International Electronic Journal of Health Education, 3 pp. 180-193. ↑ Bandura, A. 2004. Health Promotion by Cognitive Means. Health Education and Behaviour, 31 (2) pp. 143 – 164. ↑ Communication for Governance and Accountability Program. Theories of Behaviour Change. [online] Available from: http://siteresources.worldbank.org/EXTGOVACC/Resources/BehaviorChangeweb.pdf [Accessed October 20 2012]. ↑ 10.0 10.1 Bandura, A. 1997. Self-Efficacy: The Exercise of Control. New York, Freeman. Worth Publishers, 1st edition. ↑ Connor, M. and Norman, P. 2005. Predicting Health Behaviour. 2nd ed. Maidenhead, UK: Open University Press. ↑ Redding, C.A., Rossi, J.S., Rossi, S.R., Velicer, W.F. and Prochaska, J.O. 2000. Health Behaviour Models. The International Electronic Journal of Health Education, 3 pp. 180-193. ↑ Perry, C. L., Barnowski, T., and Parcel, G. S. 1990. How individuals, environments, and health behavior interact: Social learning theory. In K. Glanz, F. M. Lewis and B. K. Rimer (Eds. ), Health Behavior and Health Educaiton: Theory Research and Practice. San Francisco, CA: Jossey-Bass. ↑ Bandura, A. 1986. Social Foundations of Thought and Action. Englewood Cliffs, NJ: Prentice-Hall. ↑ Armitage, C.J. and Conner, M. 2001. Efficacy of the theory of planned behaviour: A meta‐analytic review. British journal of social psychology, 40 (4)pp.471-499. ↑ Hardeman, W., Johnston, M., Johnston, D., Bonetti, D., Wareham, N. and Kinmonth, A.L. Application of the theory of planned behaviour in behaviour change interventions: a systematic review. Psychology and health. 2001;17:2:123-158. ↑ Sharma, M. and Romas, A. J. 2012. Theoretical foundations of health education and health promotion. Jones and Bartlett Learning. Sudbury, MA. ↑ Buckworth, Janet. Lee, Rebecca. Regan, Gail. Schneider, Lori., DiClemente, Carlo. 2005. Decomposing intrinsic and extrinsic motiation for exercise:Application to stages of motivational readiness.Psychology of Sport and Exercise 8 441-461. ↑ Plotnikoff, R.C., Lubans, D.R., Costigan, S.A. and McCargar, L. A Test of the Theory of Planned Behavior to Predict Physical Activity in an Overweight/Obese Population Sample of Adolescents From Alberta, Canada. 2012; Health Education & Behavior, . ↑ Boudreau, F., and Godin, G. Theory of planned behavior to predict exercise intention in obese adults. Canadian Journal of Nursing Research. 2007; 3:112-125.